As part of a broader effort by the department to go paperless, CDFW is in the process of transitioning to online regulations books and will be decreasing the number of printed books shipped to license agents and CDFW offices in 2019 and beyond. The cost to print and ship regulations books is significant, and money saved will be put toward fish and wildlife conservation. This year's booklets will also be returning to the smaller, mostly black-and-white format. 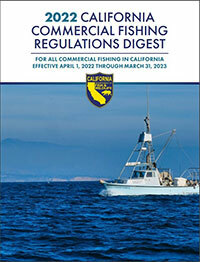 Most California fishing and hunting regulations are contained in the California Code of Regulations (CCR), Title 14 (Natural Resources). 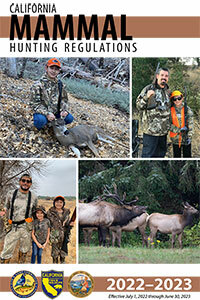 There are additional local, state and federal laws that may apply to fishing, hunting, and the use of firearms, including the California Penal Code and California Fish and Game Code, and many local ordinances. It is your responsibility to know and follow the law when participating in these activities. 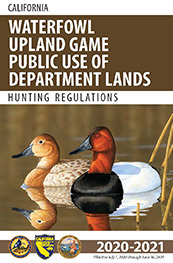 Download the 2019 Fish and Game Code in ePub format.